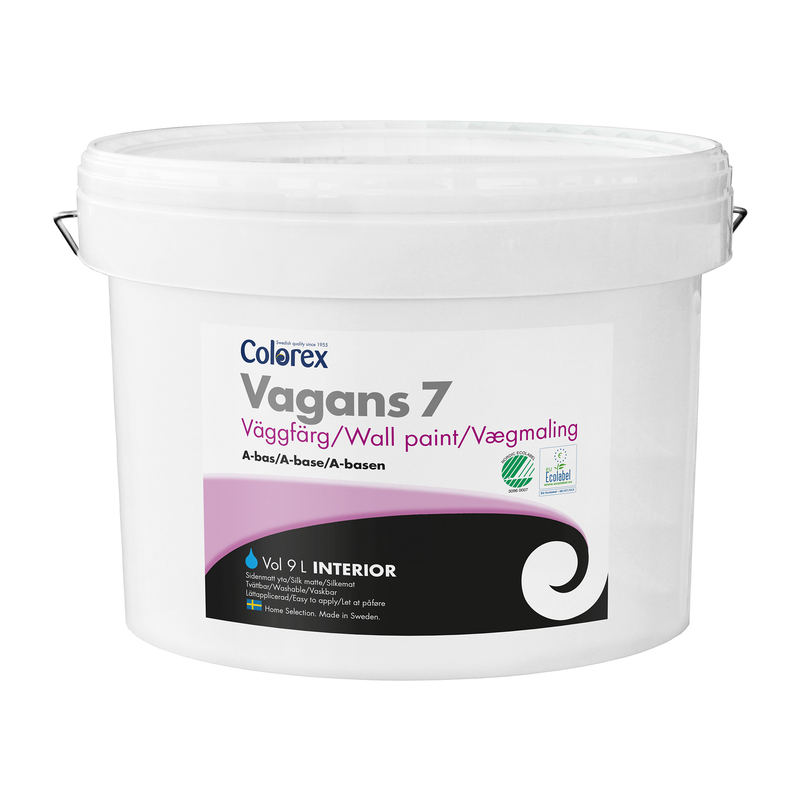 Vagans 7 is a matt, water based, styrene acrylic paint intended for walls and ceilings indoors. It is especially suited for top coating where a warm, silky matt surface is desired. This pruduct has high coverage and richness. It is easily applied with a minimum of splash and provides a subdued, matt surface with a beautiful finish. High wash ability makes this paint suitable at home as well as in public environments. Suitable surfaces are concrete, plaster, fabrics, wall paper and earlier painted surfaces. Vagans 7 is produced in Sweden, is included in Colorex Mix tinting system and Eco-labelled. Available in White/A-base and C-base in 0,9L, 2,7L and 9L. Previous name of this product is Innevägg 7.